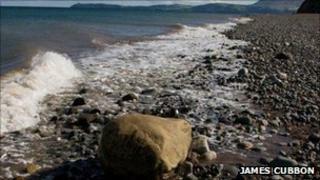 Ramsey Bay has been designated as the Isle of Man's first Marine Nature Reserve. The area will now be protected from damaging activities, fisheries will be safeguarded and it will become a centre for marine tourism and research. Minister John Shimmin said the news was "an exciting step forward for the Isle of Man". The designation of Ramsey Bay has been the result of a three year consultation with the Manx community. Marine developments within the area will now require approval from the Department of Environment, Food and Agriculture (DEFA) and an Environmental Impact Assessment. The entire reserve area will also be protected from aggregate extraction and the dumping of dredged material as well as gillnetting. All angling events in future will be catch and release. Mr Shimmin said: "The area will provide a replenishment area for our fisheries and maintain and restore essential marine habitats. "It will also help us contribute to reducing impacts of climate change by increasing the carbon storage capacity of our seas. "Eelgrass meadows, kelp forests and reef habitats all store carbon in the same way as rainforests, contributing to lowering carbon dioxide concentration in the atmosphere." The government's senior marine biodiversity officer, Dr Fiona Gell, said it was a "massive opportunity for marine wildlife". "It will allow special habitats such as the eelgrass to recover and species to become much more diverse and great opportunities to develop tourism." Chief Executive of the Manx Fish Producers' Organisation Tom Bryan-Brown said: "Ramsey Bay provides the perfect combination of important marine habitats and potential for benefiting local fisheries." He added: "The Marine Nature Reserve is also well supported by marine users." Isle of Man Friends of the Earth have also supported the protection of Ramsey Bay's marine environment. Co-ordinator Phil Corlett said: "It's really heartening to see the Ramsey Marine Reserve set up in the Island's waters as it shows the Isle of Man is taking steps to protect biodiversity and helping at the same time to conserve vital habitats." An Island Marine Nature Reserve?